Surreal. It’s how I feel sometimes when I think of Kathy’s murder. I still have days when it hits hard and I break down and cry. How can I explain when reality pokes my heart and once again I’m forced to face the shocking truth that she’s gone? I never know when it will knock on my door, where I will be, or what will trigger it. I do know it always hurts.It’s hard to believe after all these years an arrest has never been made. In 1971 Franklin was a small town with big secrets and it still harbors secrets today. Some of those secrets have gone to the graves of others and some are still living. There are a number of reasons individuals have not come forward with information over the years. It’s been too long, the lives of others will be ruined, it won’t bring her back, I’m ashamed, I’m still afraid, are some of the explanations I’ve heard. Some of Kathy’s friends just like us experienced horrifying trauma. I’m pleading with you; do not let this hinder you from revealing the truth.I’ve completed over fifty interviews for the sequel to A Child Is Missing. There is no doubt in my mind that others know exactly what happened to her. They know who she was meeting that night and why she never came home. This is my last plea, come forward, do what’s right. Don’t let fear persuade you otherwise. Know that peace does not lie in the same bed with secrets. Your future will be unsettled until the day you die if you continue to hold the knowledge of evil. You may feel too much time has past but justice still waits. There are times when I imagine that Kathy couldn’t possibly have been murdered. That such injustice was done and no one paid the penalty. I pray the hands of her murderer did not take another in the years that followed. Please, if you have any information talk to someone. 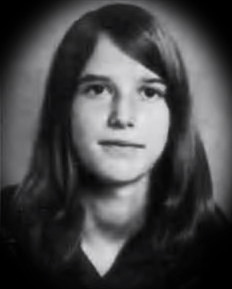 Contact the NH Cold Case Unit at http://doj.nh.gov/criminal/cold-case/ or myself at http://www.ksbeaudin@gmail.com. I know how fear can consume a person, do not be afraid. You still have time to do what’s right and honorable. II Timothy 1:7 “For God hath not given us the spirit of fear, but of power, and of love, and of a sound mind.” I sign every book with this reference, hoping someone will read it and have the courage to do the right thing. I pray the sequel to A Child Is Missing will give Kathy some justice in this world. If not, eternity will. All of us will bow the knee to our Maker one day.